Please go to TU’s Action Center now to say you oppose this dangerous proposed mine that threatens Bristol Bay’s world-class, wild fishery. It will take about 1 minute. 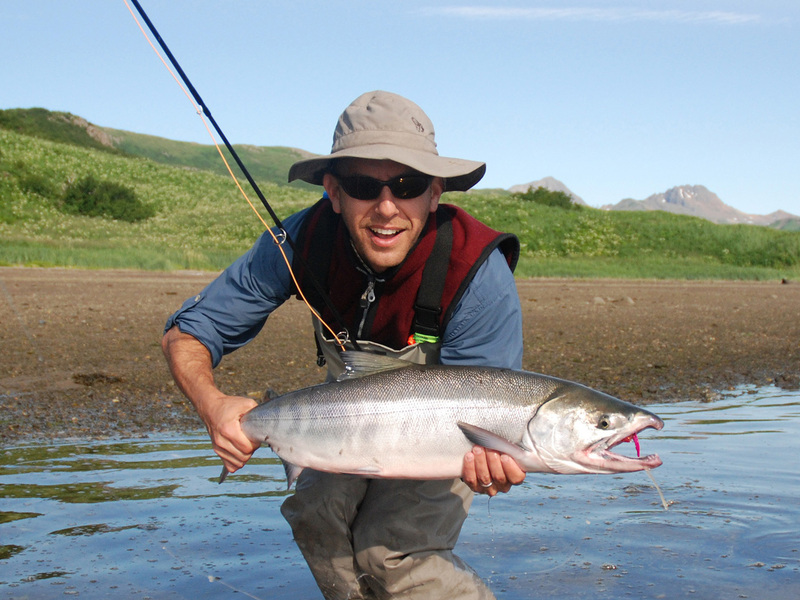 Bristol Bay’s wild salmon fishery is at risk! BACKGROUND (from recent TU email): “[Recently] our scientists and legal team dove into reviewing the 1,600+ page document that is critical to Pebble’s permit review process. Called the Draft Environmental Impact Statement (DEIS), the document is supposed to outline all of the potential risks that Pebble could bring to Bristol Bay. Instead, what we found is an incomplete, biased, and short-sided attempt to minimize risks posed by Pebble that leaves the fisheries, economy and cultures of the region in immediate jeopardy. This is where you come in. “Only a fraction of the full project has been reviewed. Pebble has submitted a proposal to mine 1.4 billion tons of an 11-billion ton deposit, and has stated repeatedly they plan to expand the mine to the full deposit. That expansion is not accounted for in this DEIS. There is no way to evaluate the full risk of Pebble if they are not evaluating the complete project, thus making this document incomplete. Water treatment has never been done at this scale before. Pebble estimates that its water treatment plants, just in phase one alone, will need to treat up to 10.6 billion gallons of wastewater per year, containing metals and other pollutants harmful to fish and public health. This is an unprecedented volume of wastewater to treat, and we know of no other operating U.S. mines that treat such a large volume. There are many technical shortcomings of their water management plan that leave experts skeptical that this project is possible without accident – and Bristol Bay is the worst place to test that assumption. Tailings dam failures are not considered. The DEIS does not consider the possibility of a catastrophic tailings dam failure (such as what just happened in Brazil or British Columbia, and there are dozens more examples). This is a massive oversight demonstrating pro-Pebble bias, despite that Pebble has used the same contractor who engineered a failed dam at the Mount Polley mine to work on their project. And that’s a scary proposition.